We were originally going to take the train from Mostar to Sarajevo, as it is supposed to be quite a beautiful trip. But, with a night of drinking in a cave, coupled with a train that left at 7 AM, we decided to take a bus a bit later. Luckily the scenery was just as pretty, so we don’t feel like we missed out. 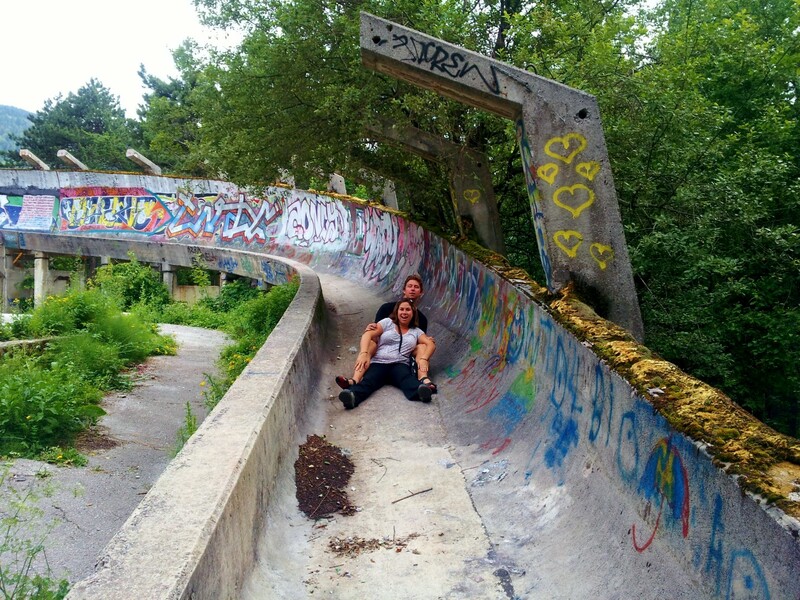 We only had a few days in Sarajevo so after checking in to our hostel, we grabbed a quick lunch and then joined a small-group tour which turned out to be one of the best tours we have done on our entire trip. Run by Sarajevo Funky Tours, the Siege Tour was led by a guy about my age from Sarajevo. That would make him 8 to 12 years old during the siege of Sarajevo, which lasted from 1992 to 1995. He lived in an apartment in the city center, and his father and grandfather were part of the resistance movement inside the city. Like the war near Mostar, the history is complicated, but the short version is that the siege was led by the Serbian nationalist forces within Sarajevo and the Yugoslav army after Bosnia declared independence (following suit with Slovenia and Croatia). Their intention was to surround the city and have it capitulate, marking the end of a Bosnian state. From mid-1992 until mid-1995, the city was surrounded by tanks and artillery which bombarded the city, and snipers which would pick off people on the streets. We drove down one of the main roads to the airport, which was a large open stretch that was actually called sniper alley. Most of the citizens of Sarajevo did not expect the city to be invaded and were not prepared with supplies or weapons when siege began. Our first stop was the airport, which was a “safe zone” during the siege, as it was occupied by the UN to provide food aid to the Bosnians. Beyond the airport was the Bosnian controlled free zone. One of the first priorities of the Bosnians was to get soldiers, weapons, and basic supplies and utilities into the city. To do this, they built a 700 meter long tunnel under the airport (even though it was a free zone, the UN agreed not to let anyone cross it as part of their agreement with Serbia). It was really quite impressive. They sent hundreds of people back and forth each day to carry supplies, and eventually ran electric cables and water lines to restore basic utilities to the city and the UN kept a blind eye. 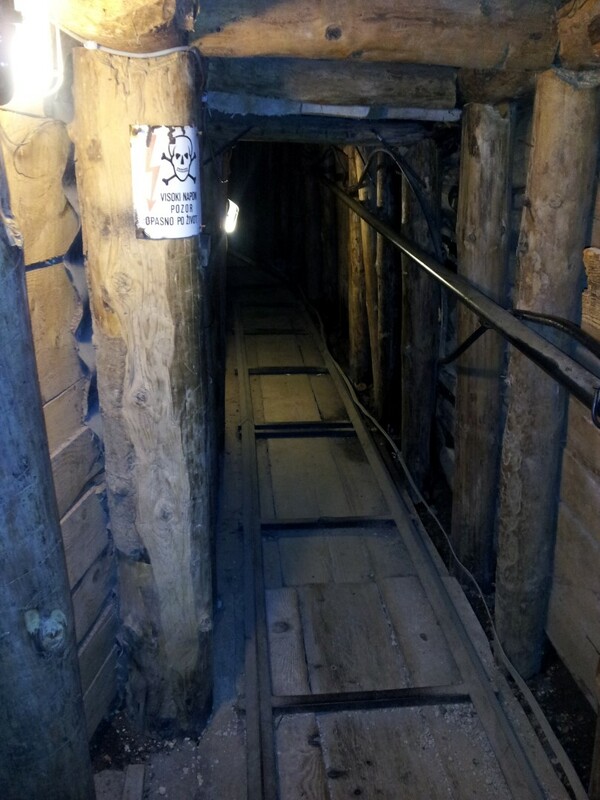 While everything was in short supply during those years, this tunnel kept them alive. We also went around to several of the hills and lookouts surrounding the city to better understand the vantage point of the Yugoslav army. Sarajevo lies in a valley surrounded by mountains, so it was an ideal city to have the high-ground for. Fortunately, there was little motivation for a street-fighting invasion, nor were there many new, upgraded weapons coming in to the Yugoslav army, so they mostly stayed to the hills and stuck with artillery bombardments. You can see the affects from almost anywhere in town. Most buildings, especially mosques and government buildings, were seriously damaged. We also enjoyed going to visit the bobsled track, which was used during the 1984 Winter Olympics, and then used for sniper cover and as a trench during the siege. It is a powerful symbol of how far things deteriorated in Bosnia during the early 1990s, and how they are still struggling to dig themselves out. We did walk the full distance of the track, which was a lot of fun in and of itself. 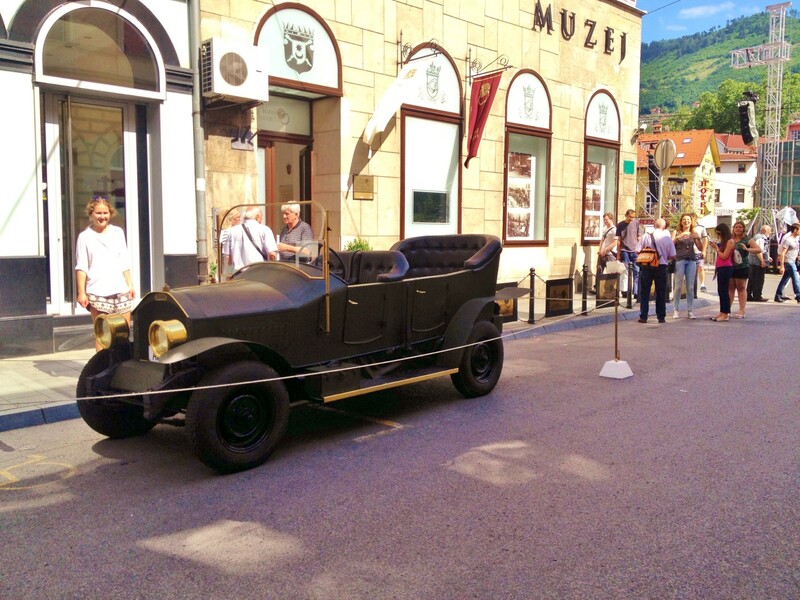 Despite the mental and emotional toll that this tour took on us, we trudged on, and the next day visited the Bosnian History Museum and took a free walking tour through old town Sarajevo. The history museum was really well done, and it did a really good job of giving historical context about the war and the different parties involved, as well as some information about the International Court of Justice proceedings against several Serbian leaders for war crimes (which was one of the first major international trials at the ICJ). They also had a really good photo exhibition of Sarajevo in 1996 vs. 2006, with the photos taken from the same perspective. The other thing that was covered was arguably the most famous thing that Sarajevo is known for, and that’s the assassination of Archduke Ferdinand, the heir to the Austro-Hungarian throne and the “spark” for World War I. They had some nice videos and photos, but it was most interesting to walk up to the corner where it actually happened. We later found out in our walking tour that there were 6 assassins waiting that day, and they all failed. When they were later apprehended, the guy who actually killed the Archduke, Gavrilo Princip, was only sentenced to 20 years in prison because he was a minor. The other failed assassins, all adults, were immediately sentenced to death. Gavrilo ended up dying 4 years later due to tuberculosis. As it turned out, we happened to be there on the 100th anniversary of the assassination (June 28, 1914), which they were commemorating with several state events, led by the Austrians, designed to show the peace and friendship between the once enemy nations. We also enjoyed the walking tour, although our brains were a bit fried by the time we joined it, at the end of our second day. Most interesting was walking in the old city, which for hundreds of years was occupied by the Ottoman Empire, and then for hundreds of years by the Austro-Hungarian empire. As a result, there is a pretty clear point in the road where the Ottoman architecture (and mosques, etc.) stop, and the Hungarian architecture (and churches, etc.) begin. Both were beautiful in their own ways, although we found the Hungarian side a bit better for finding a nice café showing the US World Cup match on TV. Overall we had a mentally and emotionally stimulating time in Sarajevo, and would highly recommend it, especially as a contrast with Croatia, who does a great job of hiding their history behind beautiful water and islands. We don’t normally do, nor recommend, organized tours, but the Sarajevo Siege Tour was a must-do in our opinion. Sadly this was our last stop in Bosnia, but a beautiful national park in Montenegro awaits!